A camping trip can be a wonderful family experience. It's a great way to get everyone away from the TV, smartphones, and tablets so that everyone can connect with each other. If you've never been camping with your kids, there are some things to keep in mind. Whether it's the need to plan ahead or set ground rules, these are tips every parent needs for camping with their kids! First thing's first. You want to plan your camping trip out so that you always have something for kids to do. One of the biggest problems with camping with kids is they can get bored easily. Plan to take your kids fishing, hiking, bird watching, etc. You also need to plan to have foods that don't need to be cooked on hand should the skies open up. Think about each activity you want to plan and the days and nights at the camp. This will help you determine everything you need to bring along. Mosquito repellent is something you definitely want to have on hand. There are bracelets available for children that are all-natural and will work for 250 hours. These bracelets are waterproof and made with citronella. Everyone in the family can wear them. It's a much healthier alternative over repellents made with DEET. Roasted marshmallows are a must, but never use sticks to roast your marshmallows or hot dogs. Take a pack of skewers with you. 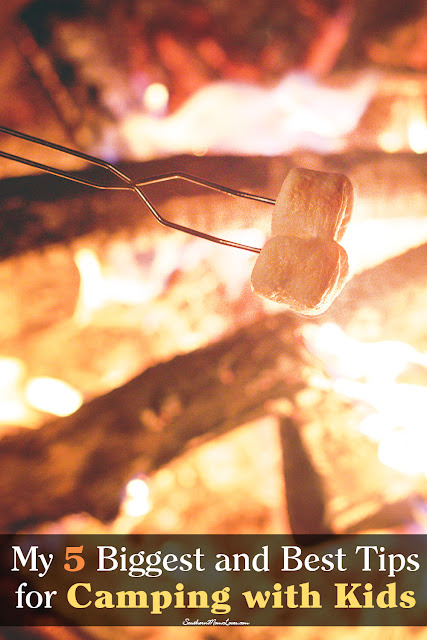 Better yet, pick up marshmallow roasting sticks for the entire family. These extendable skewers allow kids to roast marshmallows from a safe distance and are reusable. Something you may experience after that great day of fishing is your child refusing to eat the fish they caught. You may not even make it back to camp with any fish because they insisted you let them go! This is why you must have other food on hand. Hot dogs are a great go-to for camping. They are easy to cook over the campfire and kids love them. As stated above, also have sandwiches and foods that don't have to be cooked on hand. Last, but not least, you need to set some ground rules for your camping trip. Rules like: Kids should not be allowed to run or rough-house around the campfire, kids shouldn't be allowed to leave the campsite without an adult, etc.. Knowing the rules ahead of time can make your trip much smoother. If you'll be road-tripping it to the campsite, check out my post: 10 CHEAP WAYS TO KEEP KIDS ENTERTAINED ON THE ROAD! A camping trip is a wonderful getaway option. It's not only affordable, it exposes your children to new experiences. 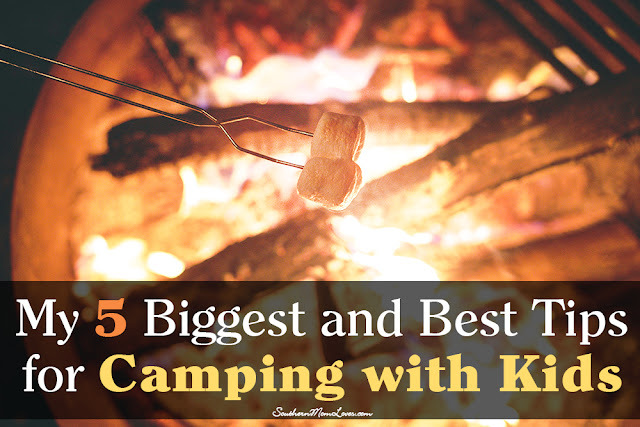 These tips can help ensure that your camping trip is as amazing as possible! Are you going camping with your kids soon? Where will you be camping? Do you have any tips to add? I love to read your comments!